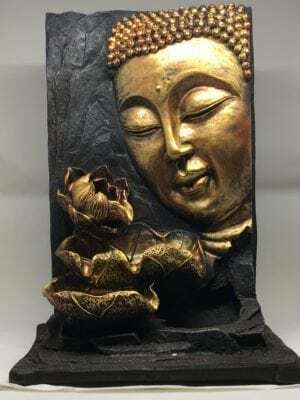 This majestic Buddha Home Decor Ornament is unique made of earthy & gold colours. 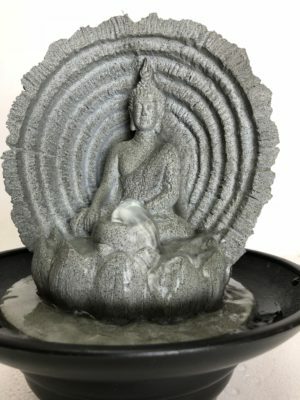 Diemnsions: H 39cm, W 18cm & D 13cm. 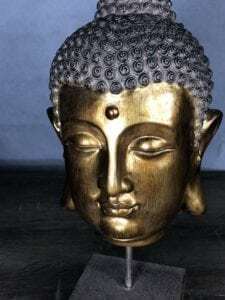 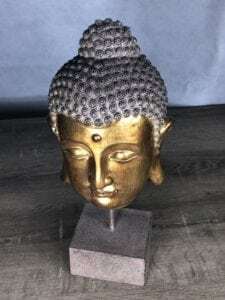 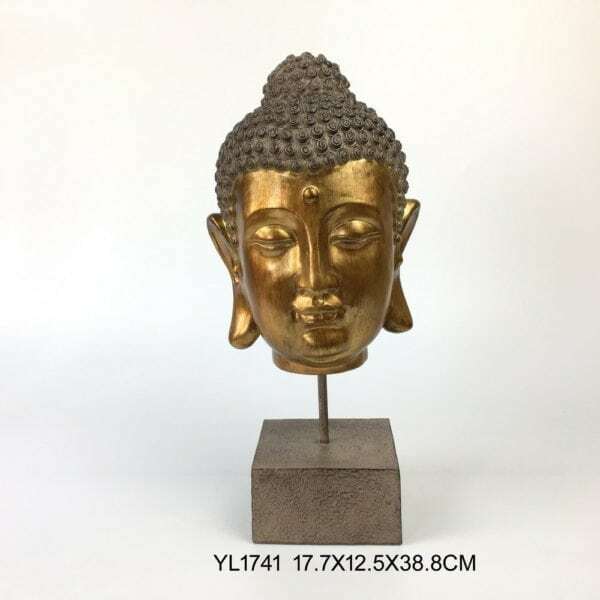 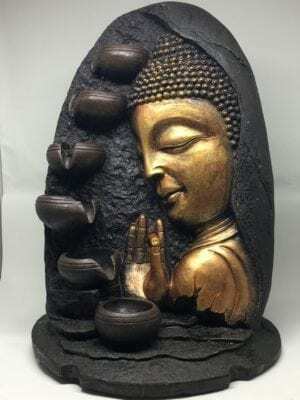 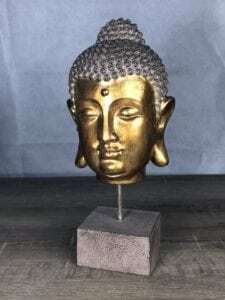 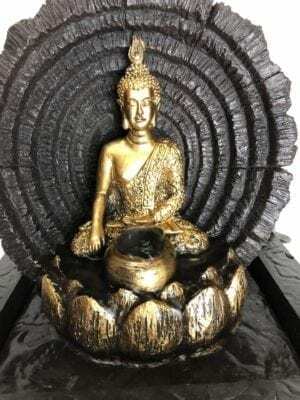 New Age Spiritual Must Have Buddha Head on Stand, suitable for indoor.